The United Nations Ad Hoc Committee established by General Assembly resolution 51/210 of 17 December 1996 (Measures to eliminate international terrorism) was mandated by the General Assembly to elaborate, as a matter of priority, an International Convention for the Suppression of Terrorist Bombings (hereinafter referred to as the Convention on Terrorist Bombings) and thereafter an International Convention for the Suppression of Acts of Nuclear Terrorism (hereinafter referred to as the Convention on Nuclear Terrorism). The alarming scenario that would emerge, if nuclear weapons or material should fall into terrorist hands, had preoccupied the international community in the post-cold war era. Such concerns were heightened with reports of a great deal of enriched fissionable material unaccounted for, mainly from the former Union of Soviet Socialist Republics (USSR), giving rise to apprehension that such material were being freely smuggled across international borders in Central Asia. It should also be recalled that the scope of the only existing international convention on this subject matter at this time, the 1980 Convention on the Physical Protection of Nuclear Material, was limited to nuclear material used for peaceful purposes and did not cover nuclear material of a military nature. 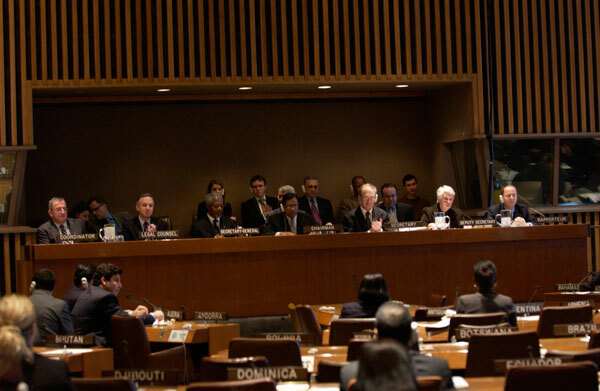 This was the backdrop against which the Ad Hoc Committee commenced its work on the draft International Convention for the Suppression of Acts of Nuclear Terrorism in 1998, based on a text presented by the Russian Federation, which culminated with the adoption of the Convention by the General Assembly, on 13 April 2005, and its opening for signature on 14 September 2005. The Convention imposes an obligation on State parties to establish the offences within the scope of the Convention as criminal offences under their national laws and to make these offences punishable by appropriate penalties, which take into account their grave nature. Further, the Convention imposes the obligation to establish jurisdiction, territorial as well as extra-territorial, as may be necessary, over the offences set forth in the Convention. The Convention on Nuclear Terrorism, following its predecessor sectoral conventions, based itself on the “extradite or prosecute” regime. In order to strengthen the regime, the Convention also contains the standard provision found in the earlier sectoral conventions, inter alia, to deem as extraditable offences in any extradition treaty the offences under the Convention, the possibility of ad hoc extradition, treating the Convention as the basis for extradition in the absence of a treaty, and the modification of provisions of existing extradition treaties to the extent that they were incompatible with the provisions of the Convention. The latter provision, contained in article 13, paragraph 5, relating to the modification of provisions of existing extradition treaties, acquires particular significance in the context of article 15, the legal effect of which is to treat the offences as defined in the Convention as “non-political” offences for purposes of extradition. Accordingly, a request for extradition or for mutual legal assistance based on such an offence may not be refused on the sole ground that it concerns a political offence or an offence connected with a political offence or an offence inspired by political motives. Thus, taking into account the heinous and indiscriminate nature of the offences involving the use of nuclear or radioactive material, a “well known” defence available to a fugitive offender i.e., the “political offences exception,” is denied to an offender committing an offence under the Convention. The roots of this provision relate back to the 1996 Declaration to Supplement the 1994 Declaration on Measures to Eliminate International Terrorism and the “new generation” sectoral conventions which followed, in particular the Convention on Terrorist Bombings (see the introductory note to the 1994 Declaration on Measures to Eliminate International Terrorism). Article 7 of the Convention obliges State parties to cooperate, inter alia, by taking all practicable measures to prevent and counter preparation in their respective territories, for the commission within or outside their territories, of the offences set forth in article 2 of the Convention; by exchanging accurate and verified information and by coordinating administrative and other measures to detect, prevent and suppress and investigate such offences and also in order to institute criminal proceedings against persons alleged to have committed these crimes. 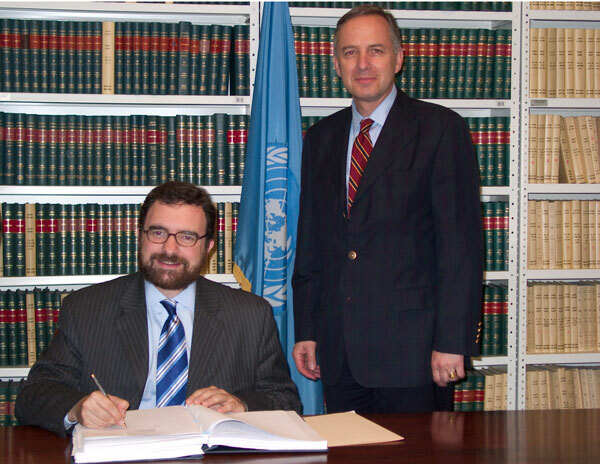 For the purposes of preventing offences under the Convention, States parties are obliged to make every effort, in terms of article 8, to adopt appropriate measures to ensure the protection of radioactive material, taking into account the relevant recommendations and functions of the International Atomic Energy Agency (IAEA). (c) have regard to physical protection recommendations and health and safety standards published by the IAEA. The article further goes on to detail, inter alia, the modalities of return and storage, upon the completion of any proceedings connected with an offence under the Convention. Thus, a State party is required to return any radioactive material, device or nuclear facility, after consultations with the State parties concerned, in particular regarding modalities of return and storage, to the State party to which it belongs, or to the State party of which the national or legal person owning such radioactive material or device or facility is a national or resident or to the State party from whose territory it was stolen or otherwise unlawfully obtained. The article also addresses the special regimes that apply with regard to the possession of radioactive or nuclear material. 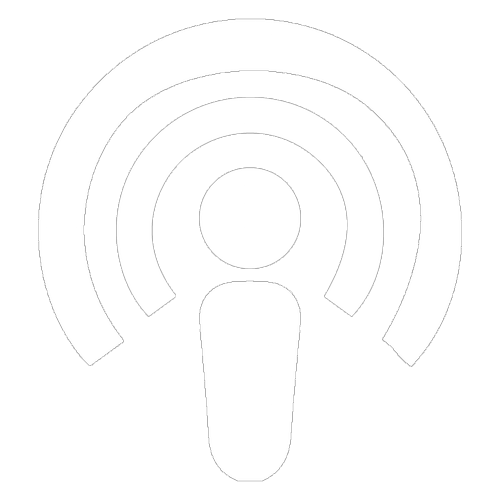 Thus, for instance, article 18, paragraph 3 (b), addresses a situation where it is not lawful for the State party in possession of the radioactive material, devices or nuclear facilities to possess them. In such instances, that State is obliged to ensure that such material, devices or facilities are placed, as soon as possible, in the possession of a State for which such possession is lawful, and which has provided the necessary assurances, consistent with the requirements of paragraph 1 of the article (relating to rendering harmless, safety and physical protection). In instances where the radioactive material, devices or nuclear material do not belong to any of the State parties or to a national or a resident of a State party or was not stolen or otherwise unlawfully obtained from the territory of a State party, or if no State is willing to receive such item, a separate decision is required to be taken in consultation with the States concerned and any relevant international organization. 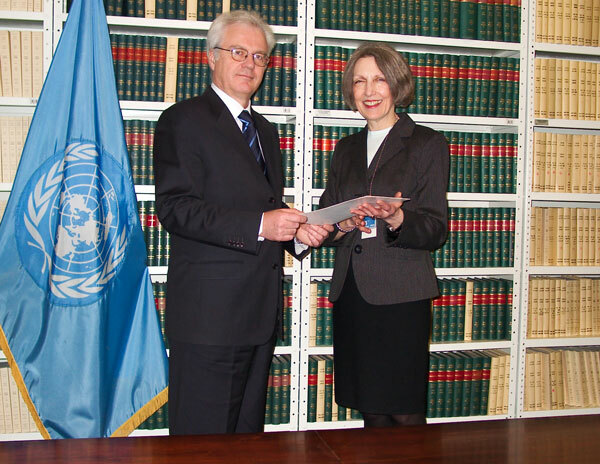 These detailed provisions which take cognisance of the special regimes which apply relating to the possession of radioactive material, devices or nuclear facilities and of their specific requirements relating to rendering harmless such material, their physical protection, etc., also underline the special role of States having the requisite capacity to render assistance in post-crisis situations and the centrality in such situations of the role of international organisations with a specialized mandate, such as the IAEA. 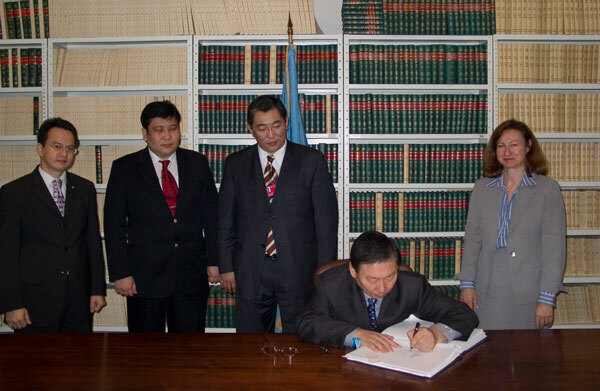 The State party in possession of the radioactive material, device or nuclear facility may accordingly request the assistance and cooperation of other States parties and relevant international organisations, in particular the IAEA, and such States and organisations are encouraged to provide assistance to the maximum extent possible. 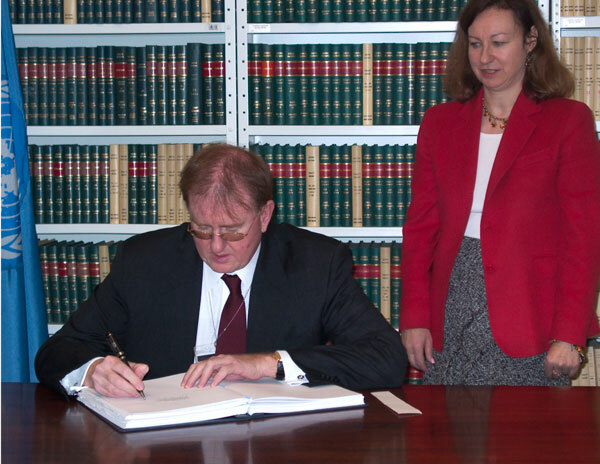 The States parties involved in the disposition or retention of the radioactive material, device or nuclear facility are also required to inform the Director-General of the IAEA of the manner in which such an item was disposed of or was retained. One of the crucial issues that had to be addressed during the negotiations, which delayed agreement on the text for several years, was the scope of application of the Convention. 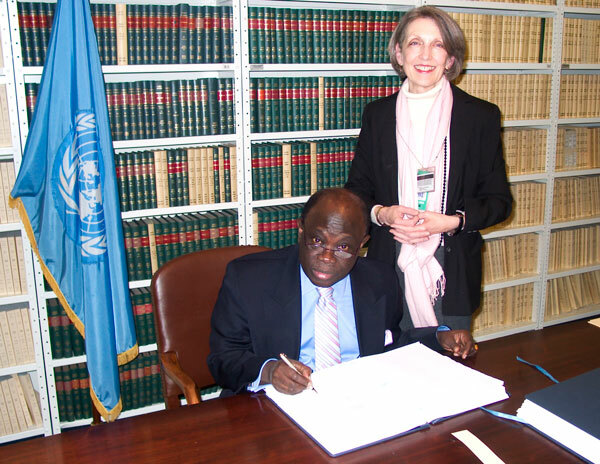 Some States argued that since nuclear material and nuclear reactors are in the possession or control of States, the legality of the use or threat of use of nuclear weapons must be adequately addressed and, consequently, acts of State actors too should be brought within the scope of the proposed convention. Other States, however, pointed out that the legal regime underlying the existing sectoral conventions is of a law-enforcement nature and exclusively focused on the individual criminal responsibility of persons for specific acts of a terrorist nature, carefully excluding from their scope any question of State responsibility which was regulated by other principles of international law. The position with regard to the Convention on Nuclear Terrorism, they contended, could not be any different. “Noting that the activities of military forces of States are governed by rules of international law outside the framework of this Convention and that the exclusion of certain actions from the coverage of this Convention does not condone or make lawful otherwise unlawful acts, or preclude prosecutions under other laws” (paragraph 13). This provision was based on a similar provision in the Convention on Terrorist Bombings, which had been formulated in the context of excluding from the scope of that Convention the activities of military forces of States. 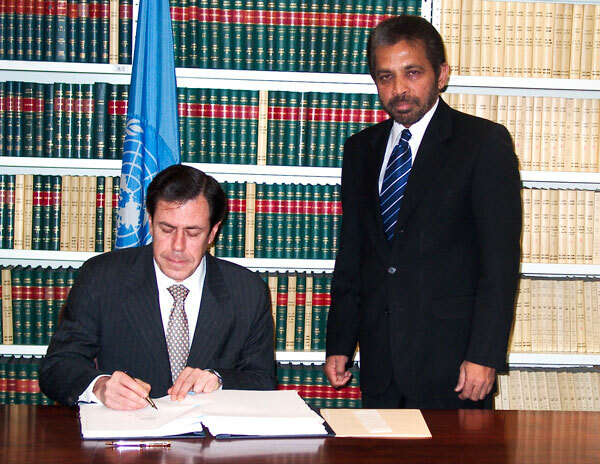 This provision, based on a proposal made by Mexico, was broadly acceptable to delegations as providing an appropriate counterbalance to paragraphs 2 and 3 of the article (exclusion of activities of armed forces and of military forces of a State, respectively, and that such exclusions are not tantamount to impunity). Thus, article 4 of the Convention read together with the preamble underlines the exclusion of specific activities from the scope of the Convention, given the applicability of other legal regimes to such activities and also the fact that such exclusion does not mean impunity. The point is also established that the Convention on Nuclear Terrorism, being a law-enforcement instrument, does not address the question of the legality of the use or threat of use of nuclear weapons, which remain to be governed by applicable special regimes. 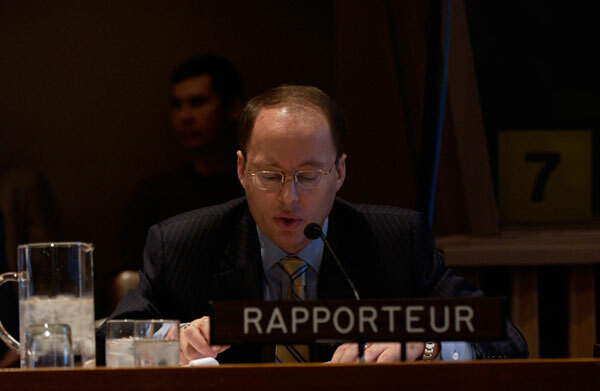 Similar issues relating to the scope of applicability of the Convention, addressing the question of responsibility of State actors in respect of acts of terrorism, and the exclusion of military forces of States from the scope of the Convention have re-surfaced in the context of the on-going negotiations on the draft Comprehensive Convention on International Terrorism. While an approach similar to that adopted in respect of the Convention on Nuclear Terrorism, i.e., a “carve-out” pointing to the applicable legal regime is being pursued in the negotiations, a compromise is yet to be reached given the scope and the non-sectoral character of the draft Comprehensive Convention on International Terrorism. It is also pertinent to recall in this context that in reaching a consensus on the Convention on Nuclear Terrorism, there was a general understanding that the preparation of the draft Convention on Nuclear Terrorism was a distinct issue that had to be considered on its own merits, and that the outstanding issues on that draft should be resolved separately from the outstanding issues relating to the draft Comprehensive Convention. 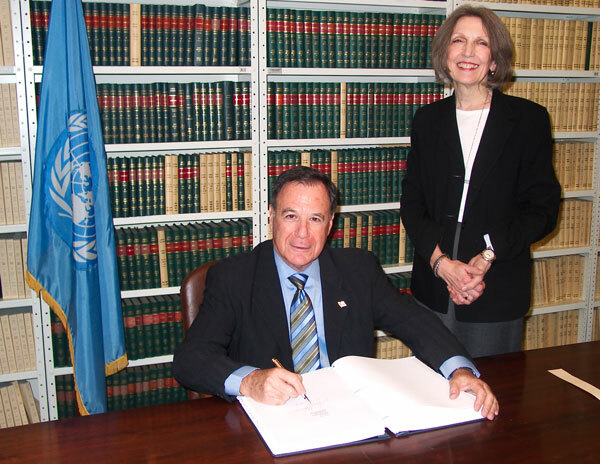 Convention on the Physical Protection of Nuclear Material, 26 October 1979, United Nations, Treaty Series, vol. 1456, p. 101. Declaration on Measures to Eliminate International Terrorism, General Assembly resolution 49/60 of 9 December 1994 (Measures to eliminate international terrorism). Declaration to Supplement the 1994 Declaration on Measures to Eliminate International Terrorism, General Assembly resolution 51/210 of 17 December 1996 (Measures to eliminate international terrorism). 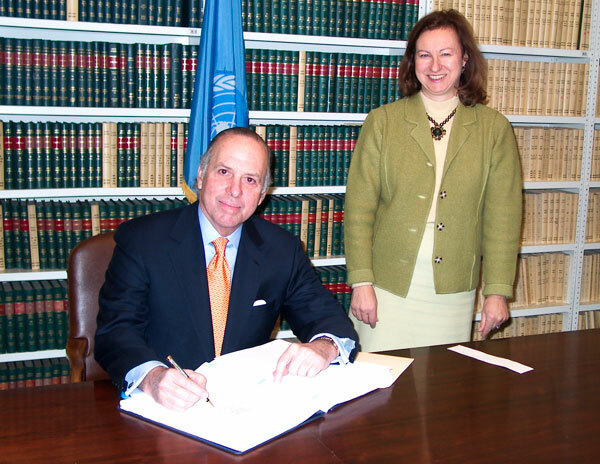 International Convention for the Suppression of Terrorist Bombings, New York, 15 December 1997, United Nations, Treaty Series, vol. 2149, p. 256. 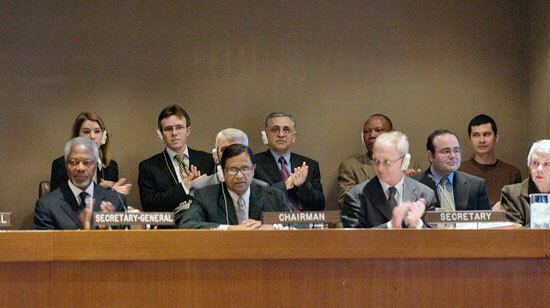 At its fifty-first session, in the same resolution in which it approved the Declaration to Supplement the 1994 Declaration on Measures to Eliminate International Terrorism (resolution 51/210 of 17 December 1996; see Declaration on Measures to Eliminate International Terrorism, the General Assembly decided to establish an ad hoc committee to elaborate an international convention for the suppression of terrorist bombings and, subsequently, an international convention for the suppression of acts of nuclear terrorism, to supplement related existing international instruments, and thereafter to address means of further developing a comprehensive legal framework of conventions dealing with international terrorism. In accordance with the same resolution, the Ad Hoc Committee was open to all States members of the United Nations or members of the specialized agencies or of the International Atomic Energy Agency. The first session of the Ad Hoc Committee was dedicated to the elaboration of the Convention for the Suppression of Terrorist Bombings, which was adopted by the General Assembly at its fifty-second session (resolution 52/164 of 15 December 1997). 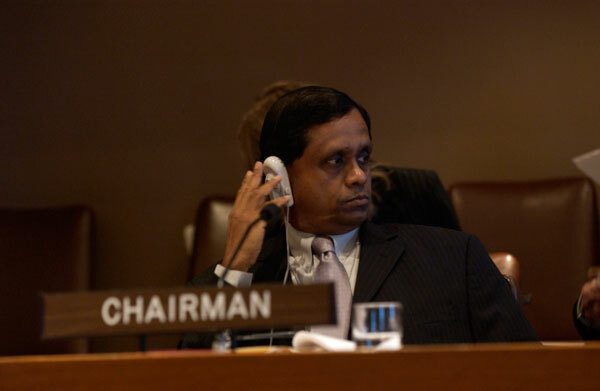 On the same day, the General Assembly decided that the Ad Hoc Committee continue its work in accordance with its original mandate and that a working group of the Sixth Committee be established for the purpose of considering the question at the following session of the General Assembly (resolution 52/165 of 15 December 1997). 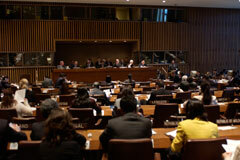 At its second session, held in New York from 17 to 27 to 27 February 1998, the Ad Hoc Committee started discussion of an international convention for the suppression of acts of nuclear terrorism. A draft convention on the matter submitted by the Russian Federation (A/AC.252/L.3) was used as a basis for the discussion in the Committee (see the report of the Ad Hoc Committee, A/53/37). 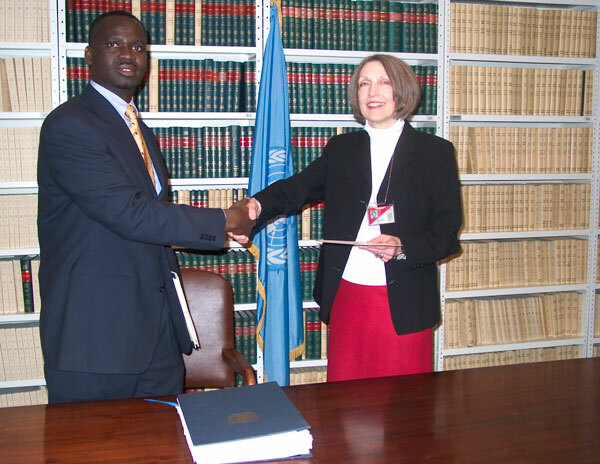 Pursuant to General Assembly resolution 52/165, the work on the elaboration of the convention continued, at the fifty-third session of the General Assembly, in 1998, within the framework of a working group of the Sixth Committee, open to members of the United Nations and members of specialized agencies or of the International Atomic Energy Agency. A discussion paper was prepared by the Friends of the Chairman for consideration by the working group (A/C.6/53/WG.1/CRP.1/Rev.1), which was reviewed in light of comments by delegations (A/C.6/53/WG.1/CRP.35/Add.1). Following its debate, the working group issued its report, based on the draft convention proposed by the Russian Federation and on written proposals and amendments made by other delegations, which was considered by the Sixth (Legal) Committee (A/C.6/53/L.4). 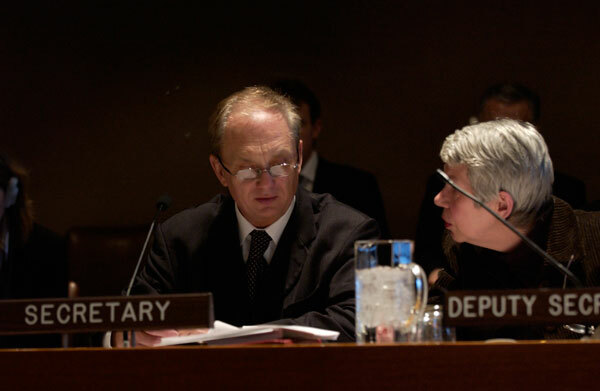 On the recommendation of the Sixth Committee, the General Assembly adopted resolution 53/108 of 8 December 1998, in which it, inter alia, decided that the Ad Hoc Committee should continue to elaborate a draft international convention for the suppression of acts of nuclear terrorism with a view to completing the instrument, recommending that the discussion again continue at the following session of the General Assembly within the framework of a working group of the Sixth Committee. 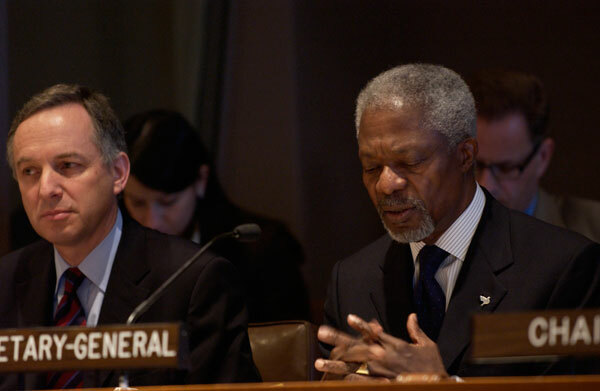 At its fifty-ninth session, following its consideration of the report of the eighth session of the Ad Hoc Committee, the General Assembly adopted resolution 59/46 of 2 December 2004, in which it decided that the Ad Hoc Committee, on an expedited basis, continue to elaborate the draft comprehensive convention on international terrorism and resolve the outstanding issues relating to the elaboration of the draft international convention for the suppression of acts of nuclear terrorism as a means of further developing a comprehensive legal framework of conventions dealing with international terrorism. 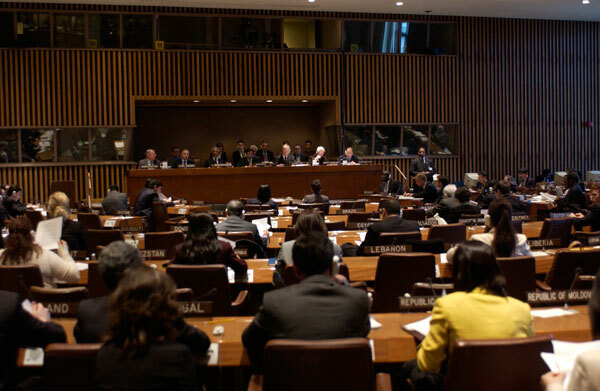 In the same resolution, the General Assembly decided that the work should continue, if necessary, during the sixtieth session of the General Assembly, within the framework of the Working Group of the Sixth Committee, but also requested the Ad Hoc Committee to report to the General Assembly at its fifty-ninth session in the event of the completion of the draft comprehensive convention on international terrorism or the draft international convention for the suppression of acts of nuclear terrorism. 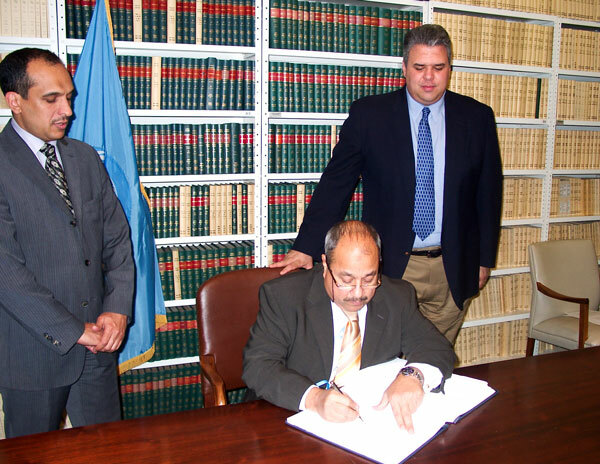 In accordance with that resolution, the Ad Hoc Committee held its ninth session from 28 March to 1 April 2005, at the conclusion of which it finalized, on 1 April 2005, the text of the draft international convention for the suppression of acts of nuclear terrorism. As requested, the Ad Hoc Committee reported to the General Assembly on the completion of the draft convention, recommending that the Assembly adopt a draft resolution as proposed, to which was annexed the draft convention (see the report of the Ad Hoc Committee, A/59/766). At its resumed fifty-ninth session, the General Assembly adopted, without a vote, resolution 59/290 of 13 April 2005, to which was annexed the International Convention for the Suppression of Acts of Nuclear Terrorism, and requested the Secretary-General to open the Convention for signature at United Nations Headquarters in New York from 14 September 2005 to 31 December 2006. 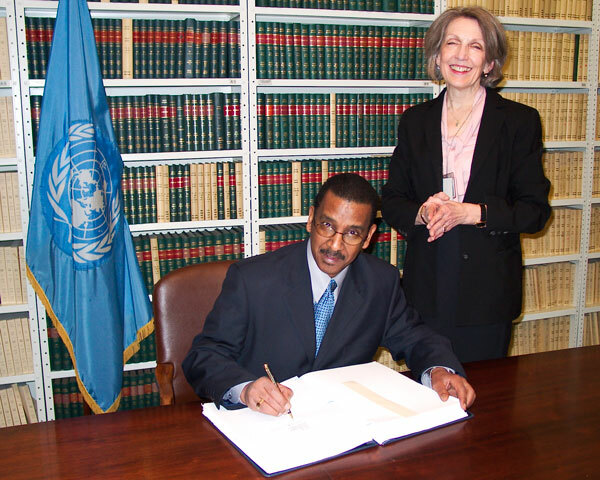 Pursuant to article 25, paragraph 1, the Convention entered into force on 7 July 2007 following the deposit of the twenty-second instrument of ratification.